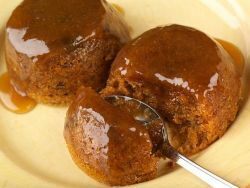 You need no more than a baking dish and a hot oven to turn rice, milk and sugar into a pudding to die for! Creamy and dreamy, this is comfort food of the highest order and as such very welcome during the cold, wet winter months. I've no idea why it's usually regarded as a nursery pudding. To my way of thinking, this pudding is one that the whole family can and should enjoy. It's dead easy to make, and as it bakes away quietly in the oven it leaves you free to get on with the rest of the dinner. 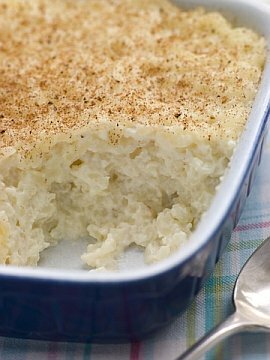 There's only one rule you must observe when making rice pudding: to get just the right result, you must use short grain (pudding) rice. At a pinch, arborio risotto rice will work. But long grain rice simply won't give you the right texture. Apart from that, it's all plain sailing. This recipe should feed 4 people, but it's easily doubled to feed a larger crowd, as long as you have a baking dish that's big enough. 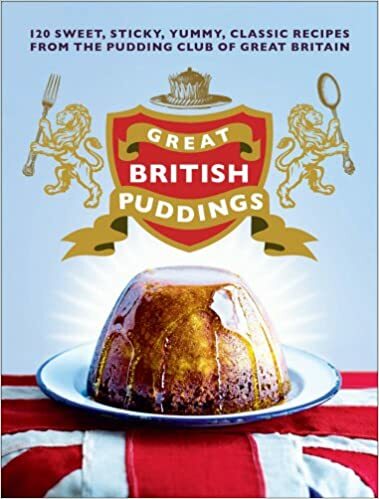 This pudding is made all over England, and - of course - there are many variations to the traditional rice pudding recipe. For a very rich version cook the rice in cream and add a vanilla pod (remove before serving). When ready to serve sprinkle the top thickly with sugar and caramelise under a very hot grill or with a gas gun. While nutmeg is the traditional spice, the pudding also eats very well with cinnamon sprinkled over the top. And many children love their pudding served with a dollop of jam! Pre-heat your oven to 160-170°C / 300-325°F / Gas 2-3. In a pan mix the rice with the milk (and cream if using) and leave to soak for 5-10 minutes. Then bring the whole gently to the boil. As soon as the milk starts to bubble pour your pudding mixture into a baking dish. Mix in the sugar and butter and stir until dissolved. Then sprinkle the nutmeg or cinnamon over the top. Place in the oven and bake for 1 - 1.5 hours. When ready, all the liquid will be gone and the pudding will have a golden skin on top. Serve hot or cold with jam or pouring cream. 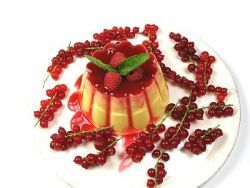 For more pudding ideas take a look at the recipes page.